We understand that every business has different needs and requirement. Therefore we researched and have developed a few solution packages to suit every business with different needs and budgets. Whether you require a small business website, an online shop or a custom web based application, we are confident that one of our web design packages is able to meet your requirement. However, even if you do not find what you are looking for, please contact us and we can discuss about a more custom made solution for you. 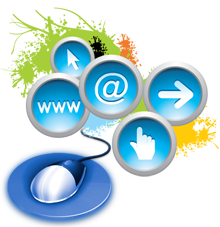 Our Web Starter web design package is the budget solution for you to get your business website on the internet. If you feel that it’s time to get yourself a web presence, let Web Specialist Australia take your existing brick and mortar business and turn it into a web masterpiece. Our Corporate Advanced Web Design is ideal for you if you are a large company or big enterprise where there will be huge amount of information about your business products and services that have to be frequently updated. If you wish to sell your products or services on the internet and therefore require a secure online payment facility such as online credit card payment processor, then our Ecommerce solution is the way to go. Get your business on the web cost efficiently and see your business grow, so contact us today and discuss with us your website needs.